The stories were of characters we have never met which makes the novel likable and not. I would have liked to have the stories be of the people we already know in Clanton from A Time to Kill but since the stories were enjoyable it's ok. However, the Author should not read their own stories. 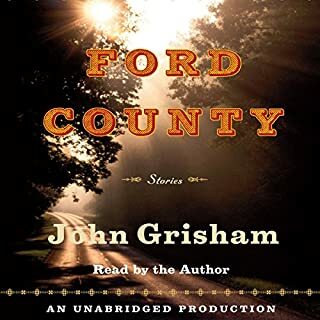 Unfortunately, Mr Grisham is not an actor so all the people had the same voice. And his voice even though pleasant is monotonous which makes it hard to listen. But overall the stories are good. What made the experience of listening to Third Grave Dead Ahead the most enjoyable? 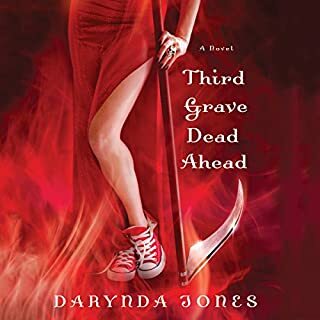 What other book might you compare Third Grave Dead Ahead to and why? What would have made I Don't Know How She Does It better? movie was ok- but book is a bore!!! What could Allison Pearson have done to make this a more enjoyable book for you? What didn’t you like about Josephine Bailey’s performance? If you could play editor, what scene or scenes would you have cut from I Don't Know How She Does It? not sure how screenplay could be better than original book- usually the other way around but I saw movie and could not even get past 30 min in this version. Jay has always envied her cousin Delphine. While Jay was brought up in a large, noisy and chaotic family, Delphine was indulged, perfectly dressed with a co-ordinated bedroom, an immaculate wardrobe, dancing lessons and monogrammed silver-backed hairbrushes. Now Jay lives happily with her architect husband and their three teenage children, while Delphine has long since disappeared to Australia with her second husband. But Delphine is about to reappear. Would you try another book from Judy Astley and/or Trudy Harris? 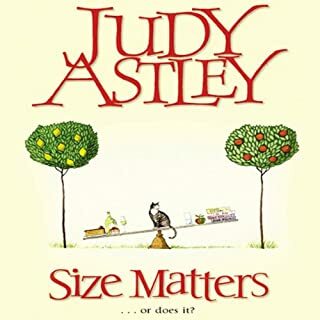 Would you ever listen to anything by Judy Astley again?